← The Sports Archives – Sports Helps Curb Drug Abuse In Young Men! The Sports Archives – 3 Of The Most Exciting And Dangerous Corners In Motorsports! The number one reason why people are drawn to motorsports is the thrill and excitement that it offers. Driving on a racetrack isn’t just about going fast; it’s about harnessing your skills, overcoming fear and pushing the limits. Even as a spectator, you cannot deny that the sight of cars engaged in wheel-to-wheel racing through the corners gets your pulse racing. Generally, the better the racetrack the more exciting the racing is. A track or circuit usually becomes a favourite for drivers and fans thanks to excellent corners; these corners often combine an element of high-speed and danger. Here are 3 of the most exciting and dangerous corners in motorsports. The Circuit de Spa-Francorchamps always had a reputation for sparking debates. While its high-speed corners, Masta Kink in particular, were considered highly dangerous by F1 drivers, others loved the track because of the constant high speeds. Many revisions over the years ensured that the track remains fast, but is also less dangerous. However, one thing that cannot be debated is the fact that the Eau Rouge is one of the most exciting corners in motorsports, loved by drivers and spectators alike. 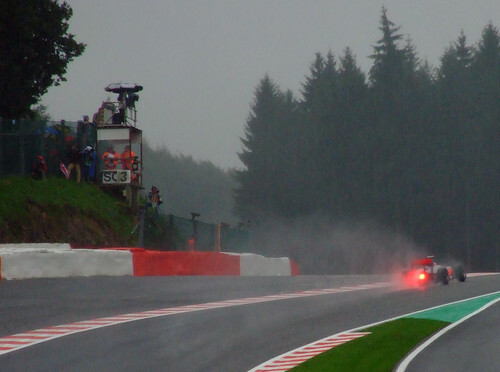 After coming out from the La Source hairpin, the cars go barreling down a straight before going uphill and navigating a left-right-left combo, without dropping speed. Thanks to the uphill gradient, the summit of the corner is blind and at top speeds, drivers are purely depending upon instinct rather than visual clues. The United States is a country that loves its motor racing. 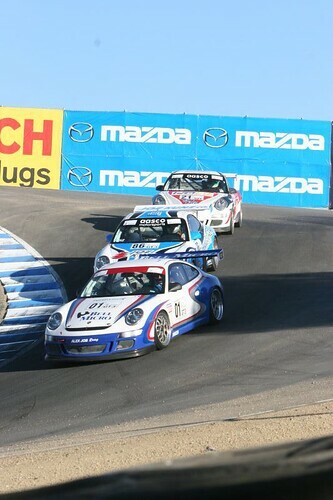 Although oval tracks usually draw in the biggest crowds, America has its fair share of some very good race circuits; perhaps the best of them all the Mazda Raceway Laguna Seca. A challenging track, Laguna Seca is a firm favourite with open-wheel and stock-car racing drivers, as well as motorcycle grand prix racers. The one corner that makes this circuit extra-special is the Corkscrew. After picking up speed on the Rahal Straight, cars and bikes have to go uphill and aim for the apex of a corner they cannot even see. If they brake too late, they will end up in the gravel pits; if they miss the apex, they will run wide and mess up the run to the Rainey Curve. After some aggressive braking and hitting the blind apex, the cars have to immediately navigate a right-hander than drops quite a bit and demands excellent throttle control. The great changes in elevation not only make the Corkscrew exciting to drive on, but also a treat for spectators. Hermann Tilke is well-known as Formula One’s architect of choice. Over the decades, he has been involved in building new tracks and redeveloping existing ones. Istanbul Park, one of Tilke’s finest designs, is perhaps one of best modern-day circuits and guarantees exciting racing. 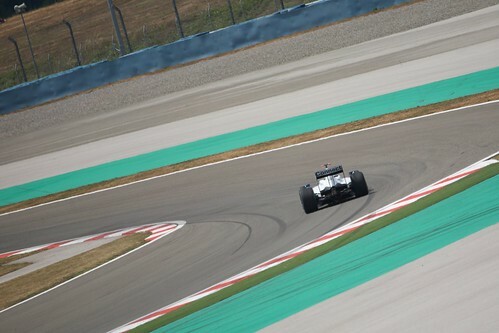 The track has many of Tilke’s signature features, including the high-speed corner, Turn 8. Often voted by F1 drivers as the best and most technically challenging corner in the Formula One calendar, Turn 8 exposes drivers to massive G-forces as they navigate the three left-handers at incredibly high speeds. Even Formula 1 teams have to work very hard to get the setup of the cars just right; if there isn’t enough down-force, the car will go flying off into the gravel trap. Although there are many exciting racetracks around the world, these three corners are definitely the best that any circuit can offer. Todd Jacobson is a keen blogger who writes about high performing driving schools in Florida. He’s a car racing enthusiast and loves everything to do with speed. This entry was posted in Motorsports and tagged Belgium, car race, Circuit de Spa-Francorchamps, Eau Rouge, f1, Formula 1, Hermann Tilke, Istanbul Park, La Source hairpin, Laguna Seca, Masta Kink, Mazda Raceway, motor racing, motorsports, motorsports blogs, Rahal Straight, Rainey Curve, sports and leisure, sports and recreation, Sports Archives, Sports Blogs, stock car racing, The Corkscrew, Turkey, Turn 8, United States. Bookmark the permalink. 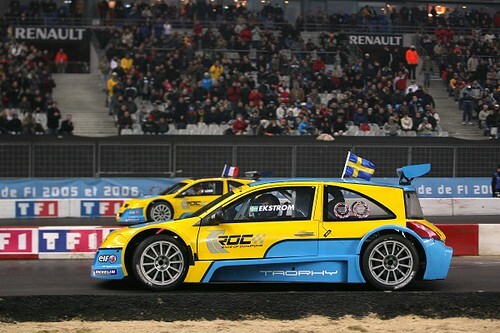 5 Responses to The Sports Archives – 3 Of The Most Exciting And Dangerous Corners In Motorsports!